CESS (2018). Branding of Government Schools: A Case Study Approach. Presented at National Conference on Branding Government Schools, NCERT, New Delhi. AnilKumar M. (2018) New law for Karnataka universities imperils autonomy. Published in Deccan Herald. Govindraju (2018) Awareness of State and Central government educational schemes among PG students. Presented at Indian tribal community: Development Challenges and Problems. AnilKumar M. & Nagabhushan, M. (2017) Ranking framework for higher education institutions in India- A policy Analysis. Presented at fifth IEEE international conference on MOOOCs, innovation and technology in education. CESS (2017). A review report on National Institute Ranking Framework (NIRF) and recommendations submitted to Ministry of Human Resources Development (MHRD). CESS (2017). Recommendation to reform Draft UGC Guidelines on Graded Autonomy to Universities (2017). 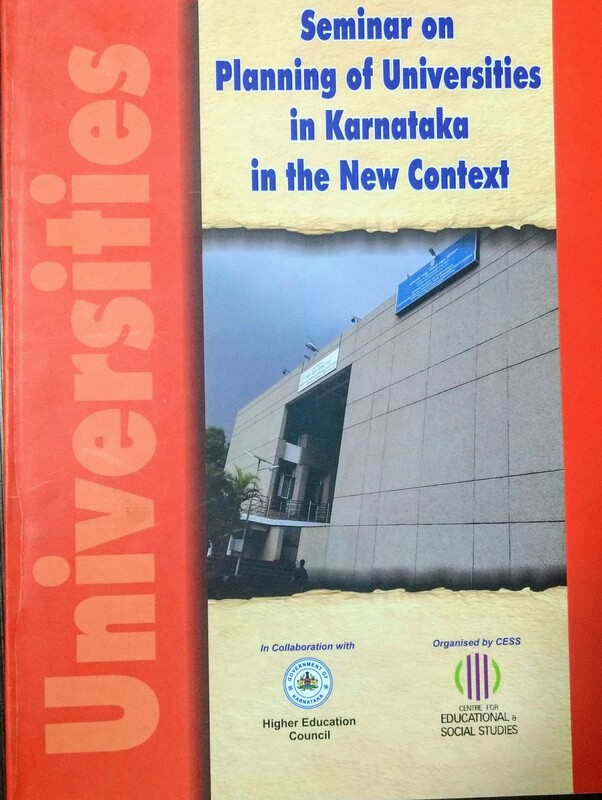 Kumar, Kishore & et.al(2012) Report on planning of Universities in Karnataka in the new context. Printed by SNP Enterprises, Bangalore. Bhat, K. Kubakaddi, S. Desai, N.S.& et. 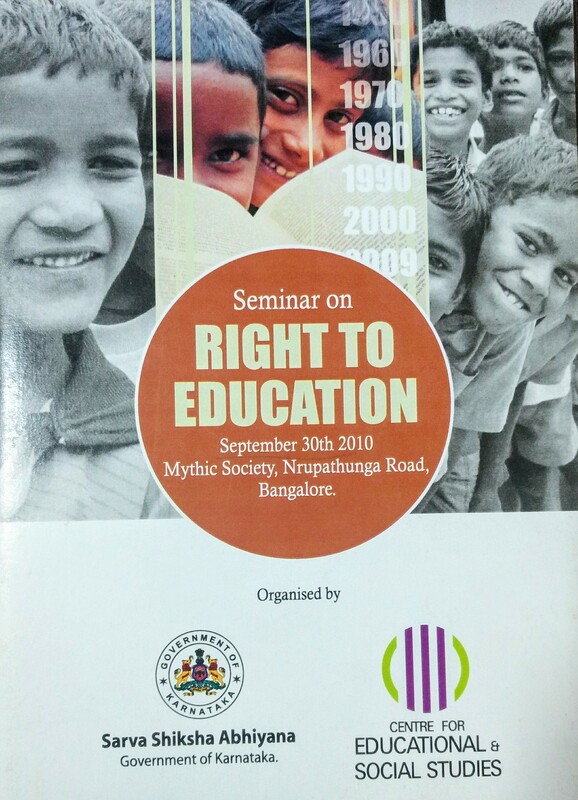 Al (2011) Right to Education. Printed and Published by CESS, Bangalore. Bhat, K. Kubakaddi, S. Desai, N.S.& et. 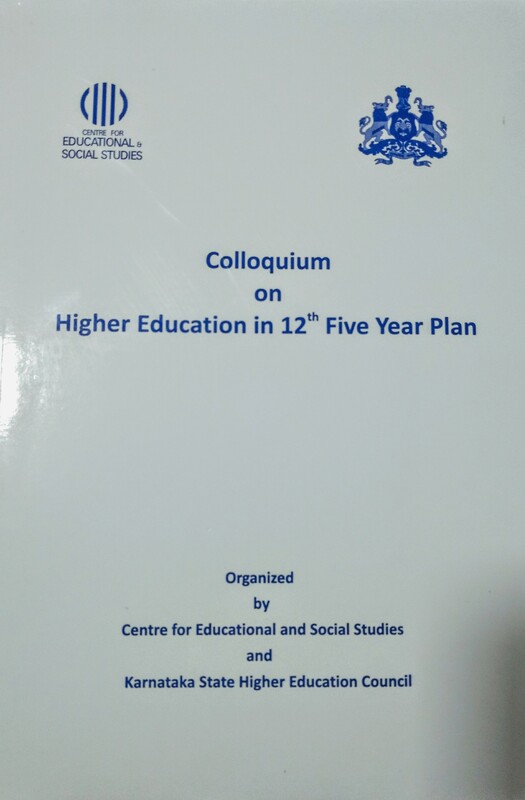 Al (2011) CESS Report on colloquium on higher education in 12th Five year plan. Printed and published by CESS, Bangalore. Chatpalli, Vishnukanth & et.al(2012), A Study on Augmenting Employable skills for BA Students as part of curriculum: A Study of Bangalore University, Published by Karnataka Gnana Ayoga. Vignesh Bhat. Desai. A & Parvathi (2009). A detailed Report on ‘Opinion building workshops on improvisation of the existing SSLC examination pattern in the state of Karnataka’. Printed and published by CESS, Bangalore. Bhat, Krishna. Chaitra, M.S, Desai, A. Parvathi, N. & Patil, R.L.M (2008). 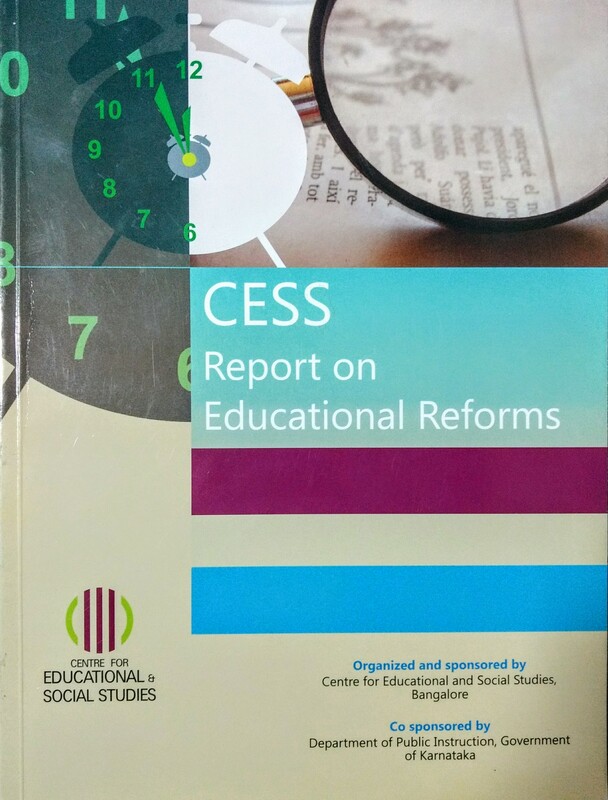 CESS report on education reforms. Printed and published by CESS, Bangalore. Bhat, Krishna. Chaitra, M.S. 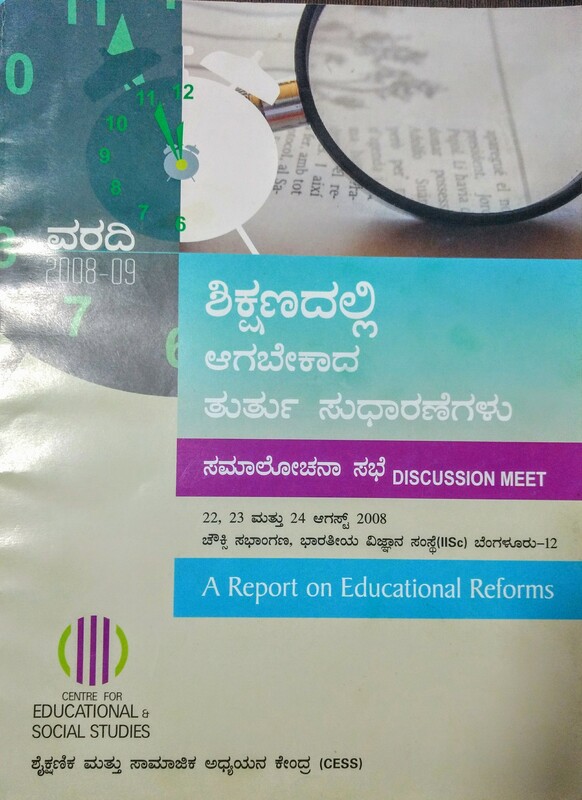 Desai, A. Paravti, N. Patil, R.L.M (2008) A report on Educational Reforms. Printed and Published by CESS, Bangalore.